According to El País, the Prime Minister of Canada, Justin Trudeau, savors a long-awaited victory. The Senate approved Tuesday the legalization of cannabis - with 52 votes in favor, 29 against and two abstentions - and opened the way for its free production and consumption in the North American country in a period of between eight and 12 weeks. This new measure means that Canadian consumers will be covered by the law as of September. After the vote of the Senate the law must be approved by the governor general of the country, which represents Queen Elizabeth II. But that step, which is expected to take place in the next few hours, is nothing more than a mere formality for Canada to formally become the first country of the G20 - the entity that groups the 20 greatest powers on the planet - to authorize the free consumption and production of marijuana. 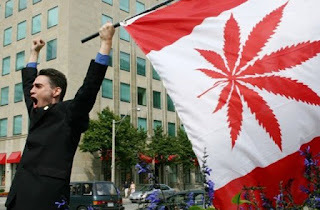 Canada puts an end to the ban on cannabis since 1923. Medical use was allowed since 2001. The total legalization of marijuana was part of the electoral program with which the current prime minister, the liberal Justin Trudeau, won the elections of 2015. Among its arguments in favor of the measure cited the fact that, when left in the hands of the State, cannabis would not be available to minors and organized crime that today profits from its production and sale. "It has been very easy for our children to get marijuana and for the criminals to reap benefits [derived from its commercialization] Today we change that," the Canadian head of government has written in a tweet. For its part, Ginette Petitpas Taylor, federal health minister, said that it is a responsible and balanced policy. The regulation on cannabis production is applied at the federal level, but in the case of sale, state and local authorities have a greater power of action over both publicly owned and privately owned establishments. The law stipulates, among other things, that cannabis is produced by authorized companies - many of them are already dedicated to medicinal marijuana - and that the sale takes place in stores owned by the different provinces - in a similar case to the establishments that sell alcohol. In addition the norm also indicates that the possession can not be superior to the 30 grams and establishes the minimum age of purchase and consumption in the 18 years, although some provinces already have indicated that in their territories it will be from the 19 years of age, as with ethyl alcohol. Specialists consider that, as the first major economy in the world to fully legalize cannabis, the step taken by Canada will, predictably, be observed very closely by other large countries that are now debating whether or not to act in the same direction. Also by global investors who have already invested money in Canadian companies related to the growing business of marijuana.